If you're doing nothing else this weekend or if you have a youngster who's mad keen on getting started in motorsport - but don't want to spend a lot of money - then a trip to Heathhall this Saturday or Sunday could be very informative and also very entertaining. On the other hand if you are looking for something to do and you think there is nothing on, think again. 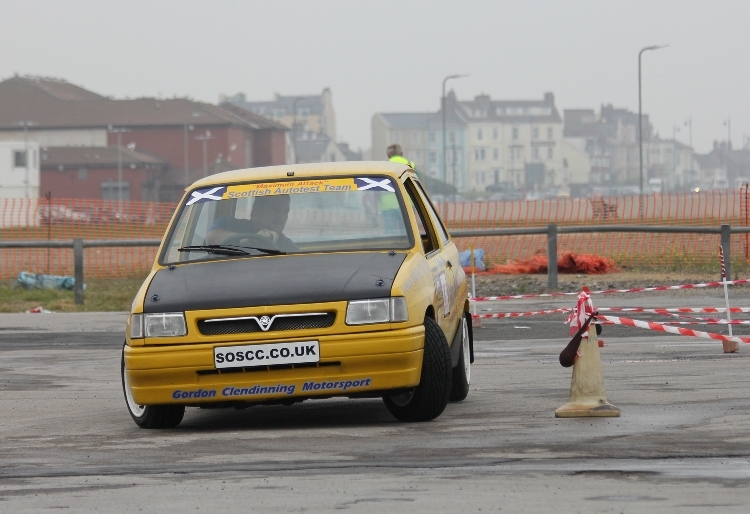 South of Scotland CC is hosting a round of the BTRDA and MSA British Autotest Championships at Dumfries, with drivers from England, Ireland, Northern Ireland and Scotland taking part. There will be 18 tests on Saturday starting from 11.00 am and a further 12 tests on Sunday (from 11.00 am) counting towards the 'Maximum Attack' Triple Crown Team Challenge where the Scots will compete directly against the English and the combined Irish and Northern Irish crews - so wear something red and white, green or tartan to show your support! Autotesting is not only a cheap and competitive sport in its own right, it's great for the youngsters. It teaches car control, precision, judgement - and mechanical sympathy! Autotest cars can be built from scrapyard specials, sorry, recycled vehicles, and don't need to be fully roadworthy although they will be scrutineered for safety before each event. Anyway, this event will provide the ideal chance to have a look at what is required of 'specials' and production cars and provide a chance to talk to some of the country's top autotesters. The event is being staged behind the Dumfries & Galloway Aviation Museum on the northern side of the A75 by-pass. Follow signs for the museum and you should spot the venue from there. There will be other attractions on-site and there is a spectator viewing area. Did you know Colin McRae was one of the country's top autotesters at age 16 before he got his full licence at 17?